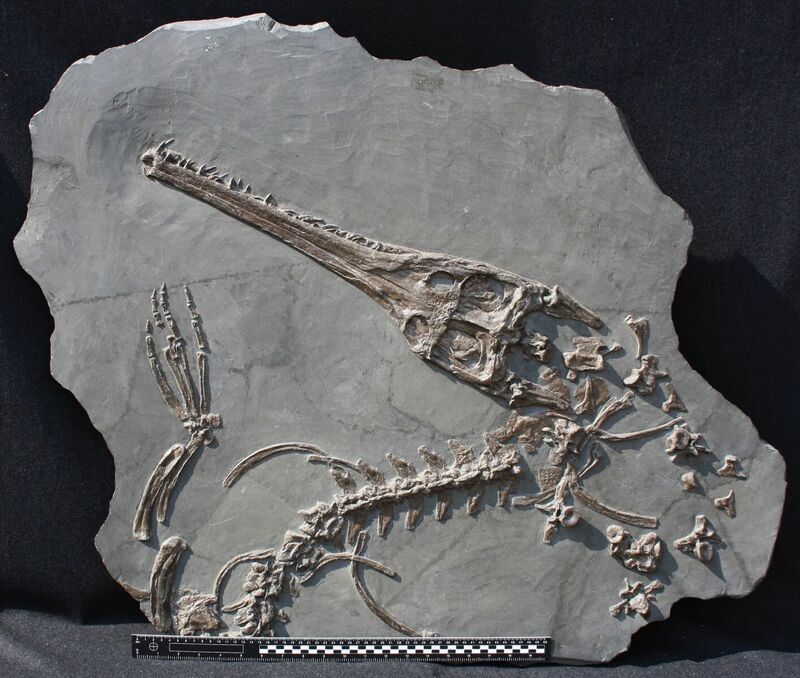 This breathtaking crocodile skull and partial skeleton is a spectacular find from the Holzmaden Shale near Stuttgart, Germany, a fossil locale renowned for its incredibly preserved specimens. 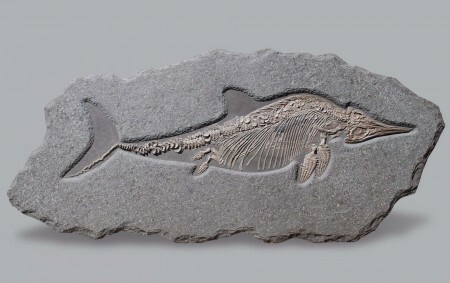 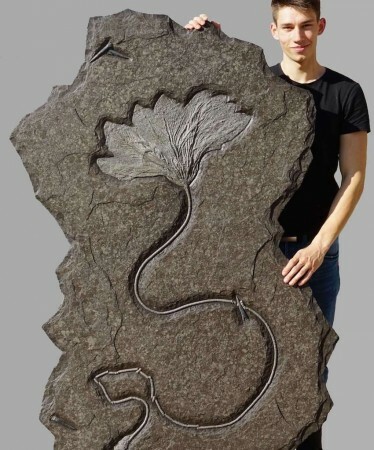 This marine predator once inhabited warm Jurassic seas that teemed with a variety of ammonites, ichthyosaurs, crinoids (sea lilies) and many fish species. 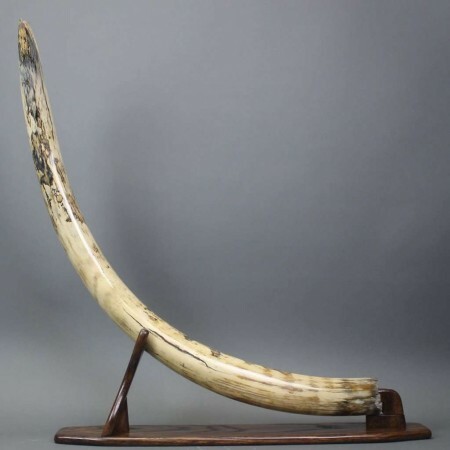 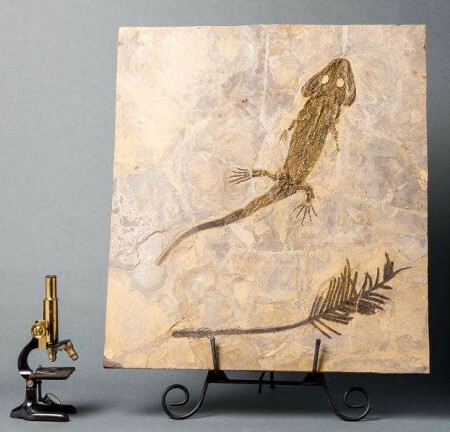 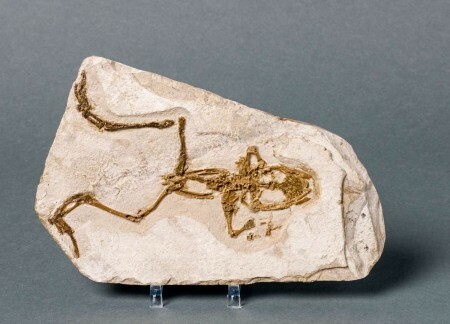 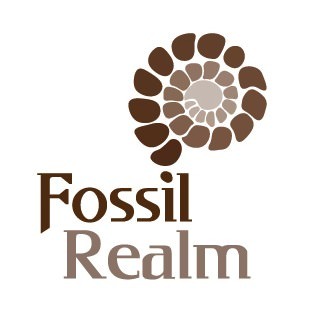 Preparation notes: original fossil with no manipulation. 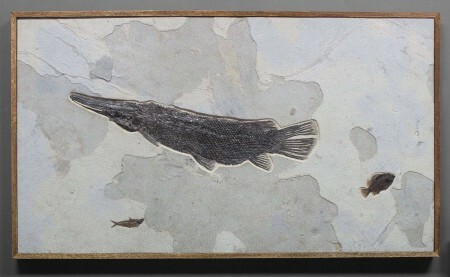 Original slate matrix attached and glued.